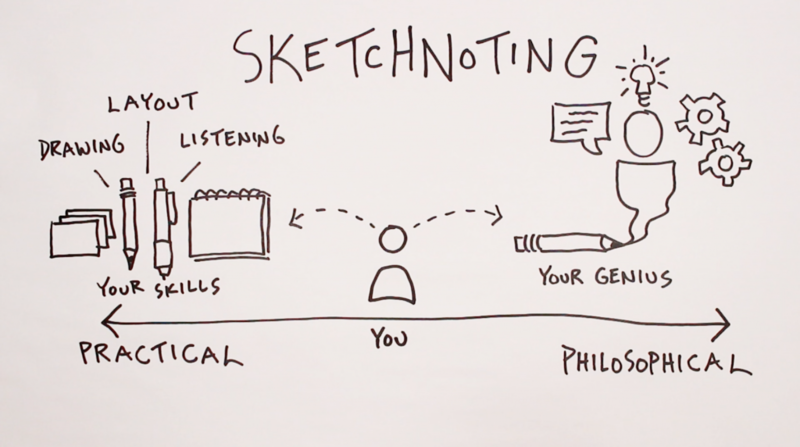 Today we’re going to look at two ends of the spectrum of what sketchnoting is all about. Let’s start with the philosophical side. I’d like to riff on an idea that was shared in a popular TED Talk by Elizabeth Gilbert. The big idea from that talk is that you have a creative genius inside of you. 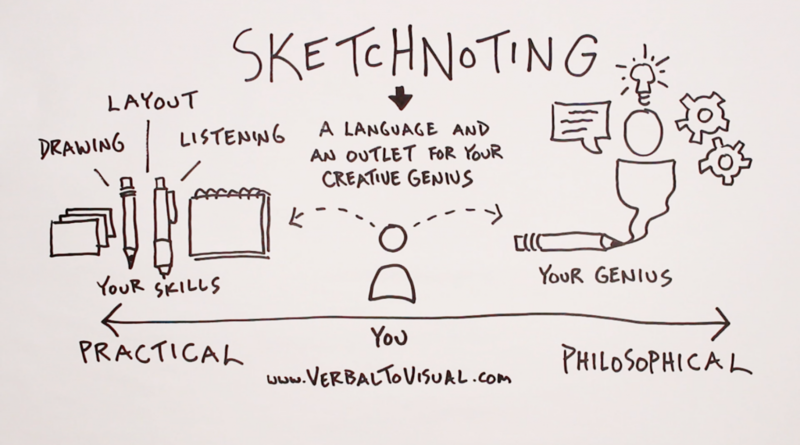 I believe that for many (if not most) of you, sketchnoting can help you give that genius a voice. Sketchnoting can capture your complex thoughts and ideas in ways that speaking and writing alone cannot. The drawings and diagrams alongside meaningful text give your genius an outlet that it didn’t have before. You’re therefore equipping your genius with a new language that will allow it to communicate in a fuller way. That’s true whether you’re capturing your own ideas or interpreting the ideas of others as you incorporate them into your view of the world. 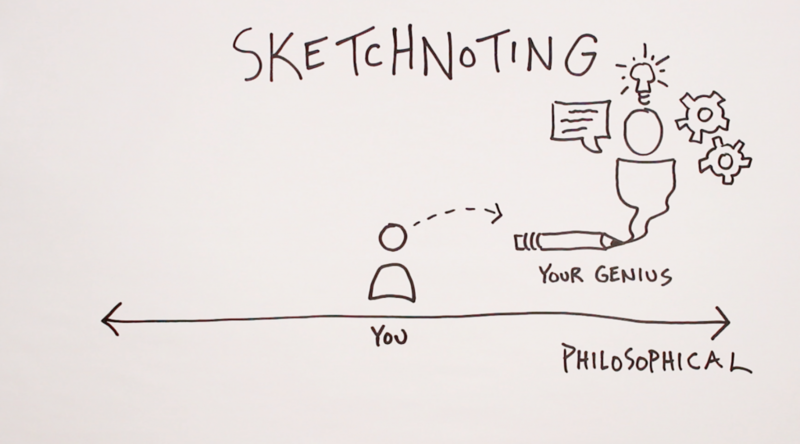 Now, it’s important to note that sketchnoting isn’t the only language that your genius might speak. It could be music, or poetry, or prose, or pure illustration. 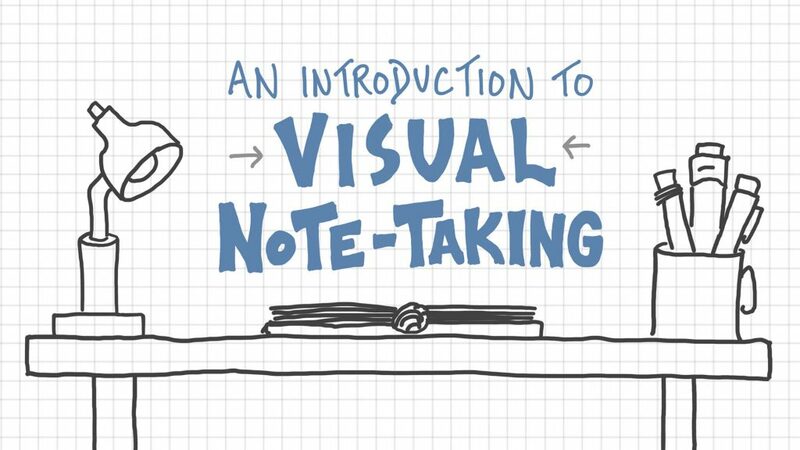 But if you’re excited about the idea of sketchnoting, then chances are, so too is your genius. 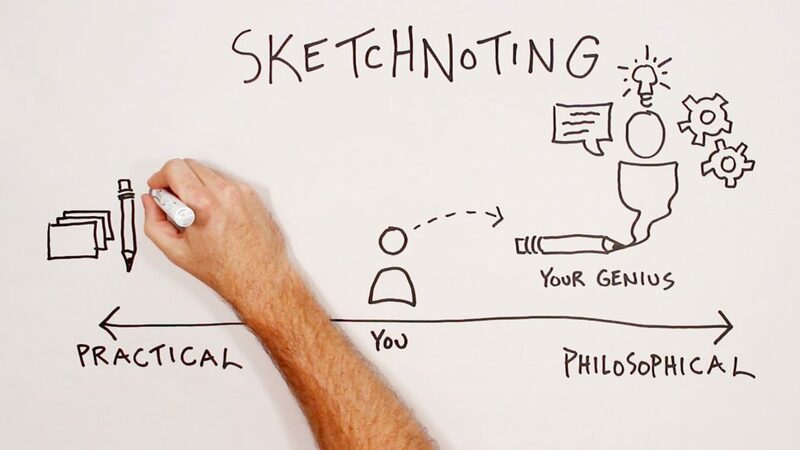 What your task becomes then, on the practical side of this spectrum, is developing the language of sketchnoting to a degree that allows your genius to say what it wants to say. That’s why it’s worth it to practice your drawing skills and build up a visual vocabulary. That’s why it’s worth it to experiment with different ways of approaching how you lay out ideas on the page. That’s why it’s worth it to develop deep listening skills that open you up to more than what’s just on the surface. Those are the things that your genius needs. I often say that sketchnoting was my gateway into creativity. It’s what opened me up to living a more creative life and building a creative career. I think that it’s equally fair to say that sketchnoting has given the genius inside of me a voice. I plan to keep doing what I can to give that voice what it needs to speak its truth. You can also explore our full library of courses here.